Every once in a while a book comes along that surprises us by spellbinding us, opening new worlds and speaking to us in ways books from our childhood used to do. These kinds of books remind of us of things we had forgotten about, resurrecting childhood wonderment about nature, the world and a God possibly lurking underneath it all. Aurora Leigh surprised me in this manner. The incredible poetry, astonishing metaphor and startling epiphanies make the book difficult to describe or summarize. 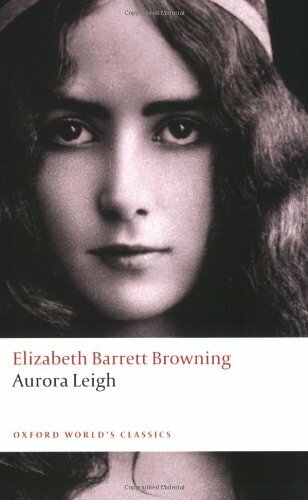 Some will shrink from the idea of reading a poem as long as a book, but if you are looking for Christian Victorian literature, Elizabeth Barrett Browning’s Aurora Leigh is it. Described as the “perfect poetical expression of the Age,” I can’t underscore enough that this book is the consummate find of my blog thus far. Protagonist and orphan Aurora Leigh rejects her cousin’s offer of marriage and a wealthy inheritance to blaze her own path as a female writer. Aurora constantly ruminates on her faith in God, her function as an artist (especially a female one), the nature and purpose of art itself from a Christian perspective and her duty to her fellow suffering humans. Despite its heavy theological and philosophical bent, Aurora Leigh is entirely readable and contains all the usual conventions of a Victorian novel, such as the impossible romance, as well as some of the more gothic elements of the “Romantic” 19th century novel, i.e. Italian landscapes and raging fevers. Don’t let theology in the form of a poem the length of a novel intimidate you, though; if you pass this one up you will be missing out on one of the reads of a lifetime. The Victorians possessed a marvelous talent for capturing the glorious wonder and fantasy of childhood. Somehow, writers like Stevenson, though grown-up themselves, retained the eyes and mind of a child. In A Child’s Garden of Verses the reader can relive with an uncanny vividness young delights such as soaring through the air on a swing or making forts out of furniture, and, most significantly, perceiving nature as a portal to fairyland. And yet Stevenson frames the wonder and wild adventure of youth with the comforting and constant structures of daily domestic routines such as mealtimes and bedtime, the cycles of the sun and moon and the changing of the seasons in soothing, rhythmic rhyme. Stevenson gives children strange and fantastical spaces to explore and familiar, safe spaces to retreat. 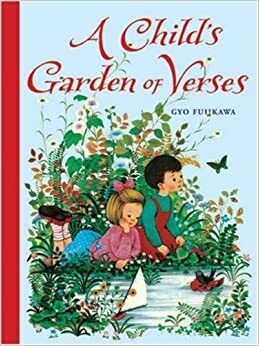 A Child’s Garden of Verses is an excellent introduction to classic literature for children of any age (my three-year-old daughter wants me to read it to her every day). It’s also much more interesting for the parent to read than the typical picture book! Many illustrated editions of this poetry collection exist, but two that stand out are Gyo Fujikawa’s and Tasha Tudor’s. The text is the same; only the illustrations are different. But there’s a caveat. Stevenson was actually an atheist. 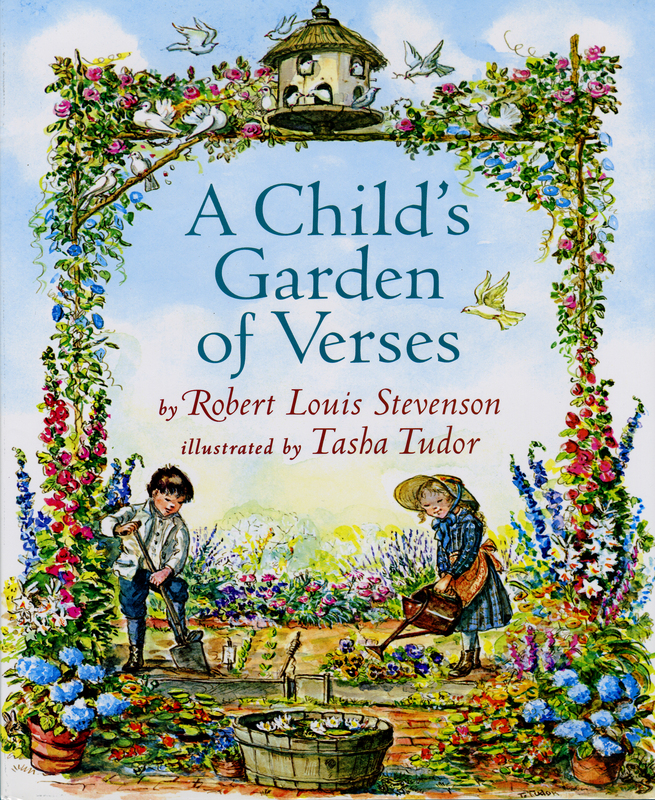 Look for an upcoming post that explains why I still consider A Child’s Garden of Verses Christian Victorian literature.